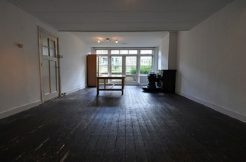 Enjoy your return without you having to deal with all actions around renting out your property? With Weenawonen Residence Lord, we like to take the administrative and in cooperation with our service outsource the Technical team management. Good technical property management increases the chance to rent the property for a longer period resulting in a better return. Weenawonen Property Management focuses on the management of all processes involved in maintaining your property (s) in Rotterdam. Weenawonen thanks to our service team and our large network of professionals, all technical problems quickly and accurately resolved. Weenawonen mediates between owners and expatriates (international tenants who are temporarily working in the Netherlands). As a rental agent, we provide the accommodation of international companies around Rotterdam and Brielle. Both short and long rental periods Weenawonen care of the personal and practical aspects involved in rental mediation. Through our extensive network and many years of experience in renting apartments, we can quickly find the right match. Due to the increasing demand for housing, we are constantly looking for furnished and unfurnished housing for short and long rental periods. Weenawonen works on a no cure, no pay to find a reliable tenant for your property as quickly as possible. So you pay us only when we have found a tenant for your house or apartment. Are you interested in our management services? Please contact us here. House for rent on the De Savornin Lohmanlaan in Rotterdam. 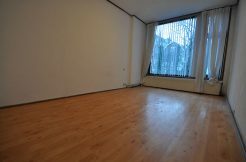 For rent three rooms apartment on the first floor on the Rodenrijsestraat in Rotterdam Bergpolder.